V02, Celts, Noricum, Warasdin Type, AR Tetradrachm (12.54g) Rare! 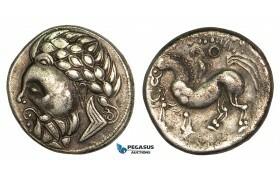 V02, Celts, Noricum, Warasdin Type, AR Tetradrachm (12.54g) Obv. : Diademed head left. Rev. 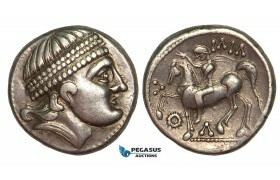 : Horse le..
V03, Eastern Celts, Barbaric Imitation, Burgenland "Kroisbacher" AR Tetradrachm (13.31g) O..
V04, Celts (2nd - 3rd C. BC) Zigzag type AR Tetradrachm (12.03g) Rare! V04, Celts (2nd - 3rd C. BC) Zigzag type AR Tetradrachm (12.03g) Obv. 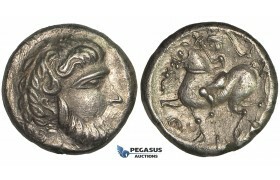 : Head of Zeus left., Rev. 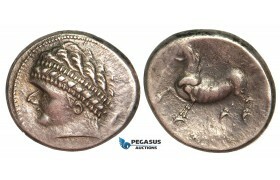 : Hor..
Z10, Celts (2nd - 3rd C. BC) Zigzag type AR Tetradrachm (11.77g) Obv. 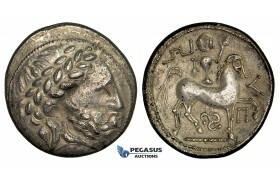 : Head of Zeus left., Rev. : Hor..
Z83, Celts, Danubian (Ca. 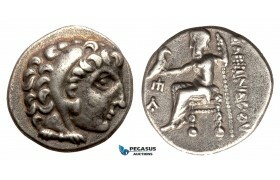 3rd-2nd century BC) AR Drachm (4.30 g) Obv. 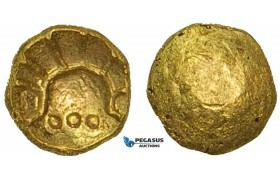 : Head of Heracles right, weari..
ZA91, Eastern Celts, Boier, 1/24 Stater, Gold (0.34g) Obv. : Athena with shield, Rev. : Blank. 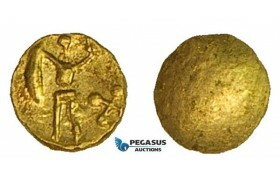 Paulsen..
ZA92, Eastern Celts, Boier, 1/24 Stater, Gold (0.28g) Obv. : Athena with shield. Rev. : Blank. 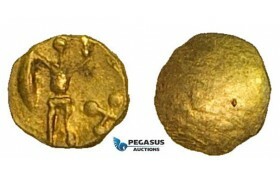 Paulsen..
ZA93, Eastern Celts, Boier, 1/8 Stater, Gold (0.91g) Obv. : Rays over 3 dots. Rev. : Blank. 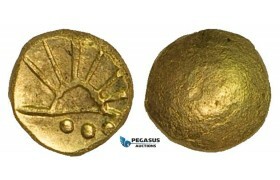 Paulson 53..
ZA94, Eastern Celts, Boier, 1/8 Stater, Gold (0.90g) Obv. : Rays over 3 dots. Rev. : Blank. 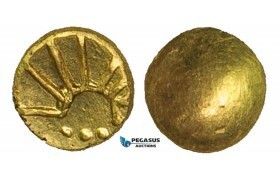 Paulson 53..
ZA95, Eastern Celts, Boier, 1/8 Stater, Gold (1.15g) Obv. : Rays over 3 dots. Rev. : Blank. 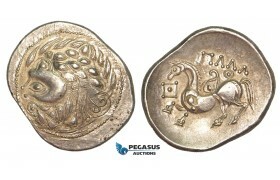 Paulson 53..
ZD80, Eastern Celts, Pannonia, Puppenreiter Type, AR Tetradrachm (13.25g) 3rd-2th Cent. BC, Obv. : La..
ZD81, Eastern Celts, Carpathian region, "Baumreiter" Type, AR Tetradrachm (12.96g) 3rd Cen..